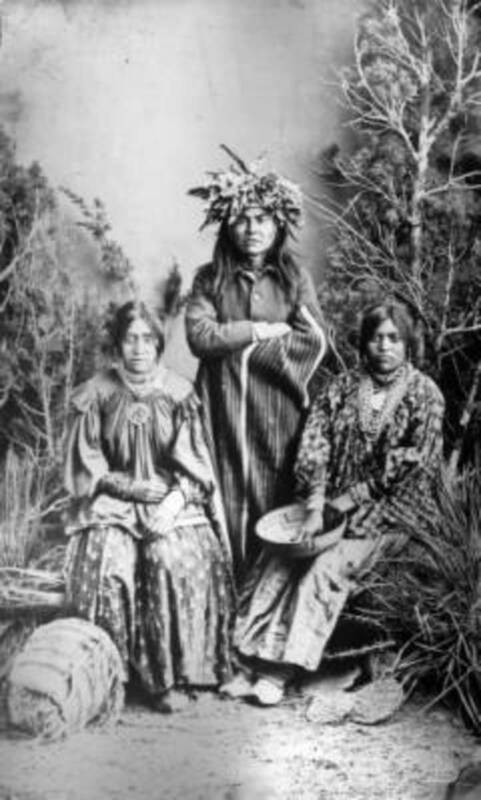 The Apache people settled in the Sonoran, the Great Basin, and the Chihuahuan regions. 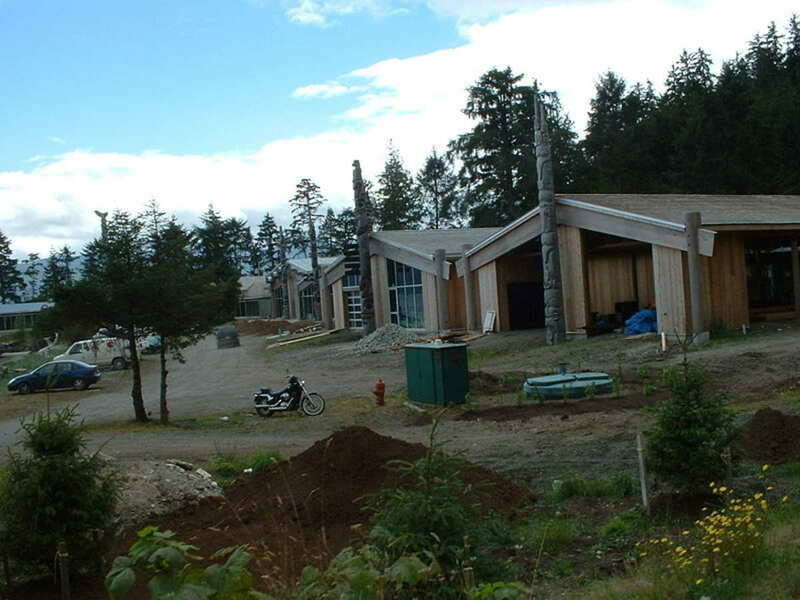 The speak Athabascan language, just as the Navajo, which originated in northwestern Canada and Alaska. 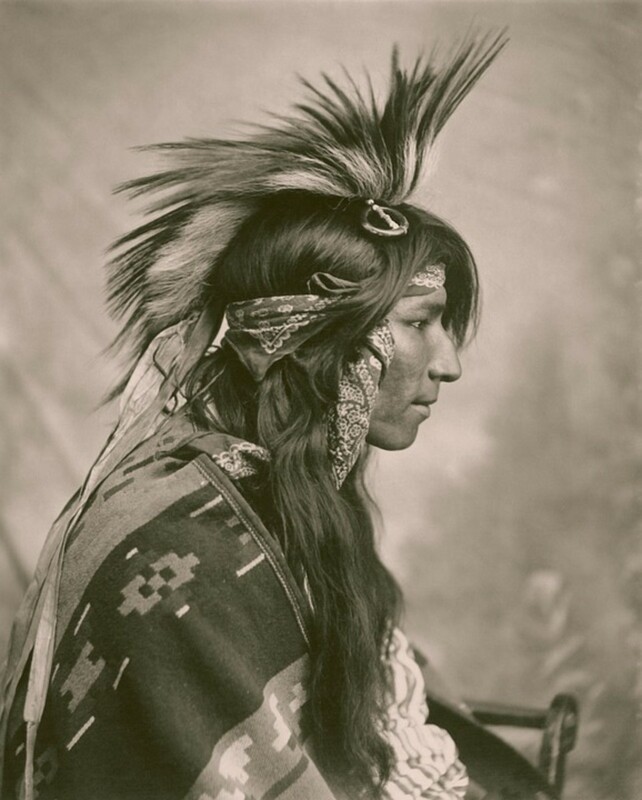 Although the Navajo are not part of the Apache nation, they are considered Apachean. The only similarity is the sharing of the same language. The Apache Indians left the Athabascan tribe of Canada around A.D. 850. 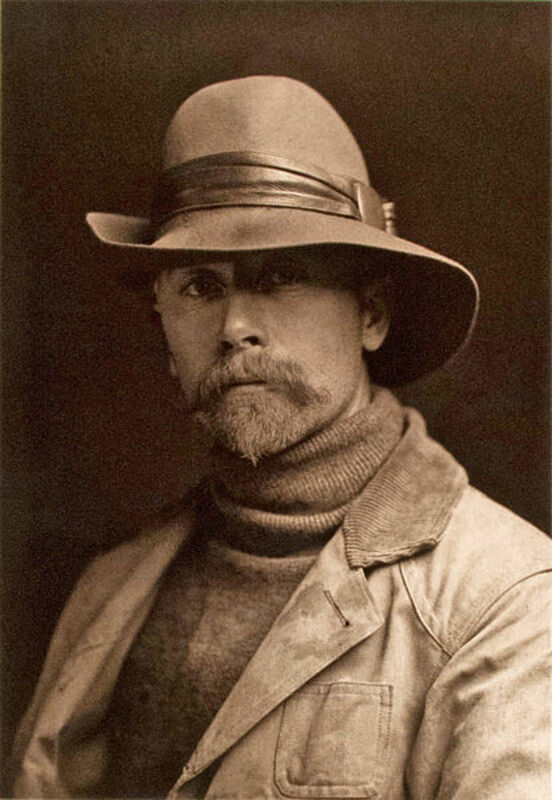 These people were well adapted to harsh climates and traveled constantly in search of food. The hunted buffalo and other wildlife around the Great Plains. They also were fruit and seed gatherers. Their tribes were extremely nomadic and were not interested in settling down in a permanent community. The Apache did trade their buffalo hides, bones, meat, and salt from the desert land with Pueblos for blankets, corn, pottery and many other goods. Although they did trade frequently, there were many times the Apache just took what they wanted by force. Among the Pueblo people, the Apache became well-known as "the enemy." They also raided wagon trains and settlers in the areas they roamed in. The mere name "Apache" sent chills up the spines of many. Their tactics proved powerful and unsurpassed. The Apache and Pueblos seemed to survive peacefully, except for a raid here and there, until the Spanish arrived. The Spanish brought great hostility with slave trading. They chased down individuals to work the silver mines of Chihuahua in Northern Mexico. The Apache retaliated with raids, taking horses, livestock, weapons, and individuals. The Apache were legendary. It became well-known that an Apache warrior could run over 50 miles straight, without stopping and outrun the troops of any mounted soldiers. The Apache warriors were brave and fierce. To their families they were loving and gentle, but to their enemies they could be revengeful and cruel, especially when betrayed. The Apache didn't see themselves as others, they raided only when necessary for survival of their families. They were always in search of wild game. When hunting was scarce they gathered berries and roots, and many times replanted the seeds for future harvest. 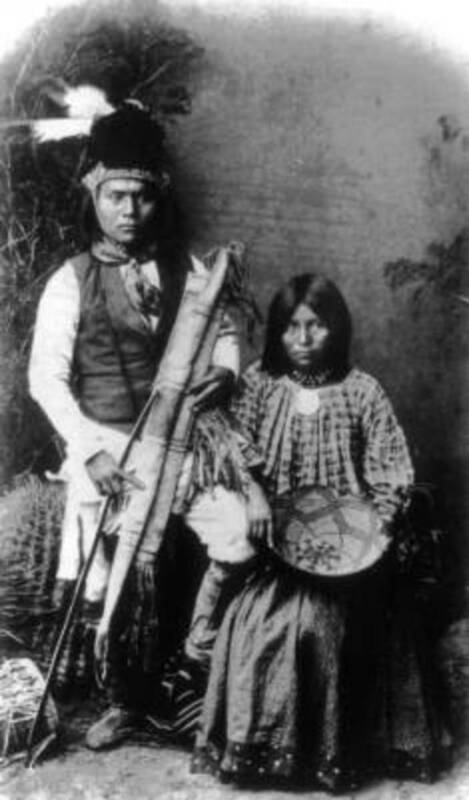 The Apache believed coyotes, birds, and even insects as the reincarnate of human beings. They lived in family groups through the female side. 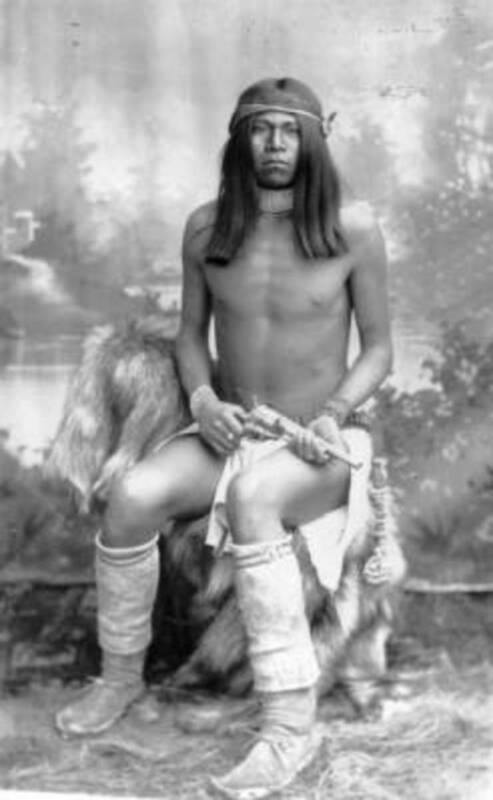 The Apache had enormous family loyalties. Marriage within ones own group was forbidden. A son had to marry outside his own group, then his loyalty went to his mother-in-laws family. Each family group lived independently under the guide of a family leader. The leader handled his own group's disputes and problems and answered to no other person. This changed during times of war. Groups would come together to fight the enemy. Many times groups would band together to seek revenge for the death of an Apache. Each leader of individual groups would meet together and decide on a war chief, who would lead the battles. 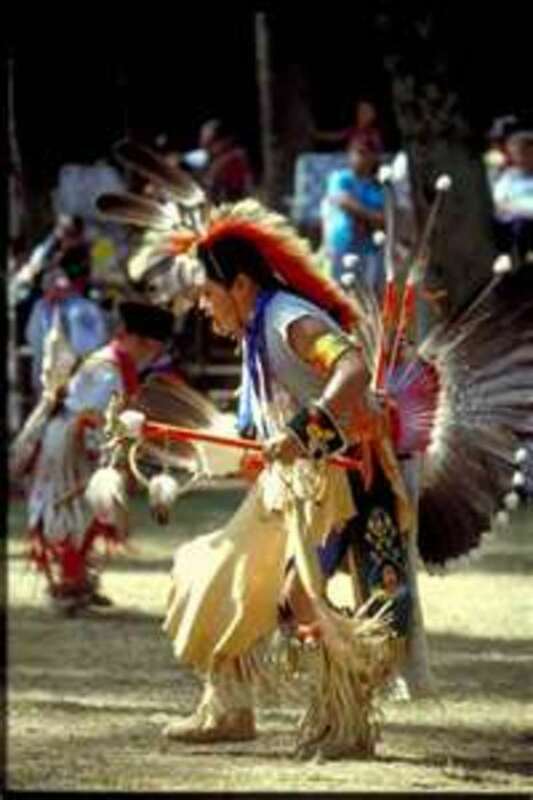 The Apache believed in numerous spiritual beings. The most powerful of all spirits, Usen, The Giver Of Life. The Mountain Spirits, Gans, were extremely important in ceremonies. Males dressed up in costumes to appear as the Gans in ceremonial dance, wearing black masks, kilts, headdress, and painted bodies toting wooden swords. 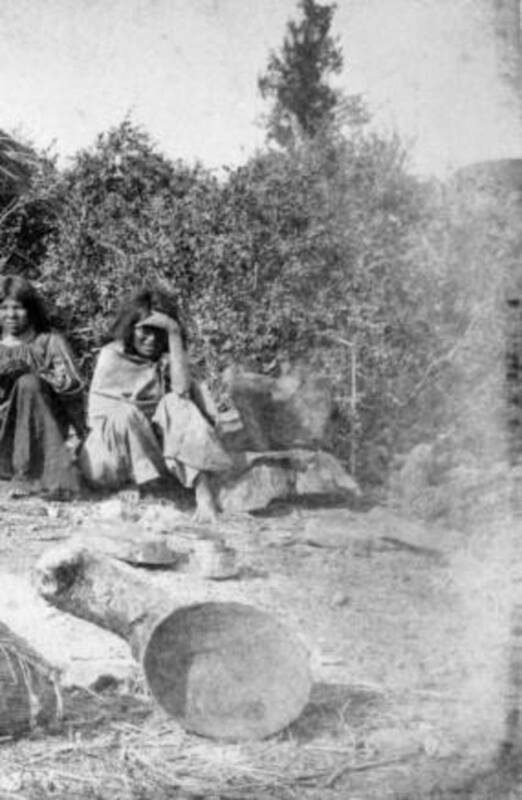 The Apache's life changed drastically when they were forced into reservations by the U.S. Army. These nomadic people, who once lived off natural resources and hunting, were confined to reservations where they had to farm to survive. 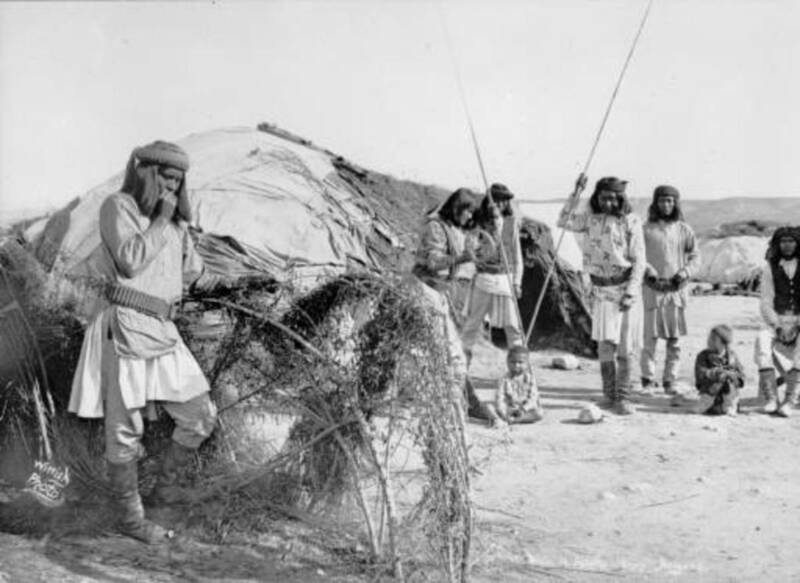 The entire Apache people began to suffer greatly. The governments promise of aide became a farce and the land given for reservations began to shrink as the white man found better grazing lands within the reservations. And many times precious minerals were found and the Native Americans were either moved to another area or the area was drastically reduced. 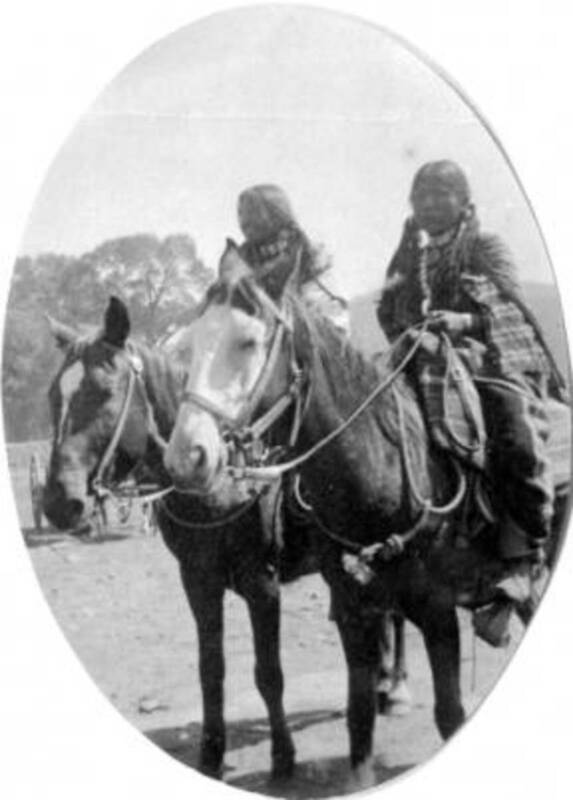 The Apache were the last Native Americans to accept the lifestyle and ways of the white man. 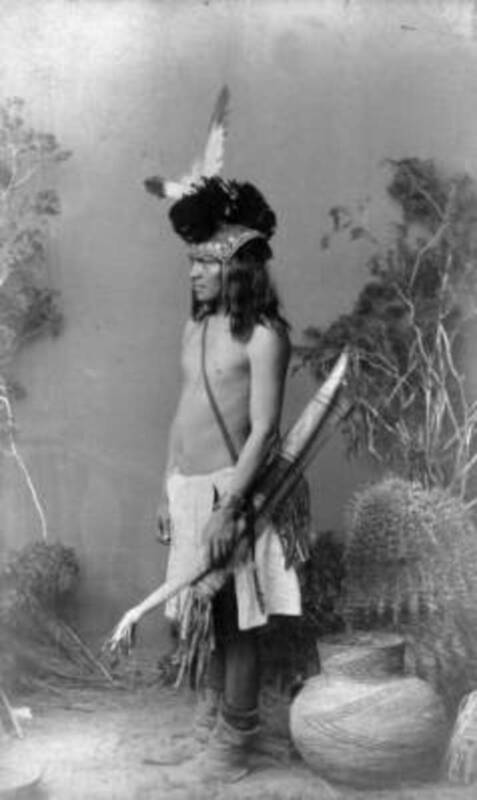 Geronimo, Goyathlay, was an Apache born in 1829, near Turkey Creek, in what is now Arizona. To the Apache the land was called Bedonkohe. Geronimo had four sisters and three brothers. He married at the age of 17. 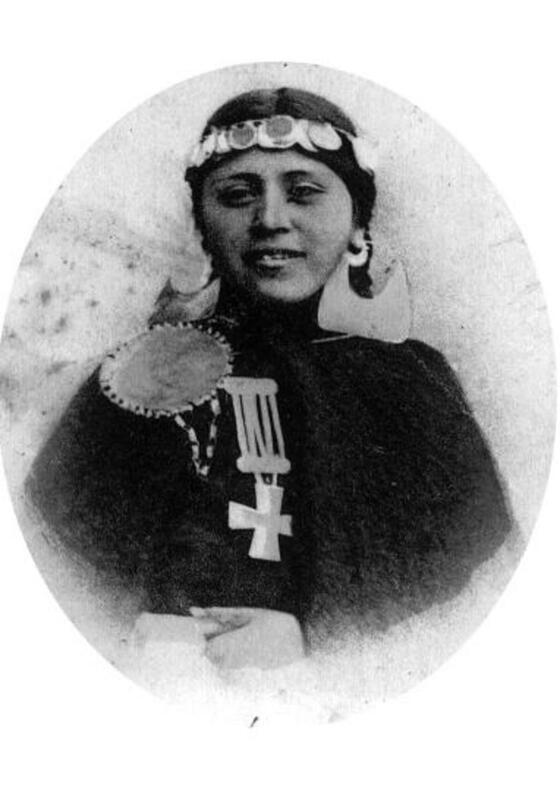 His wife, Alope, was from the Nedni, Chiricahua band of Apache. He and his wife had three children. On March 6, 1858, 400 Mexican soldiers from Sonora attacked Geronimo's camp while Geronimo and other men were trading in town. During the attack Geronimo's wife, all three of his children, and his mother were killed. 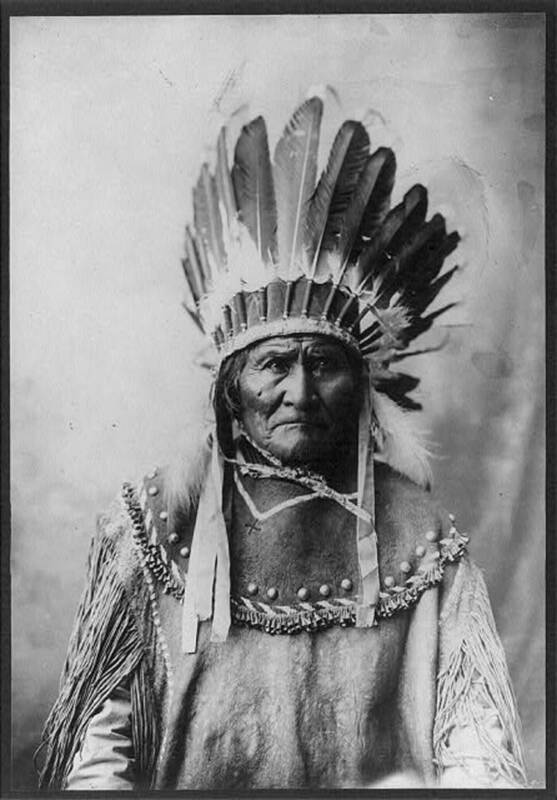 Geronimo's chief, Mangos Coloradas, sent him to rage a vengeance against the Mexicans. The death of Geronimo's family sent a blood thirsty rage in him, making him legendary. From that day forward he vowed to kill as many white men as he could. He took every opportunity to kill as many Mexicans as he possible could. Shortly after the death of his family he received his power, which came in visions. He was a medicine man and a spiritual leader. 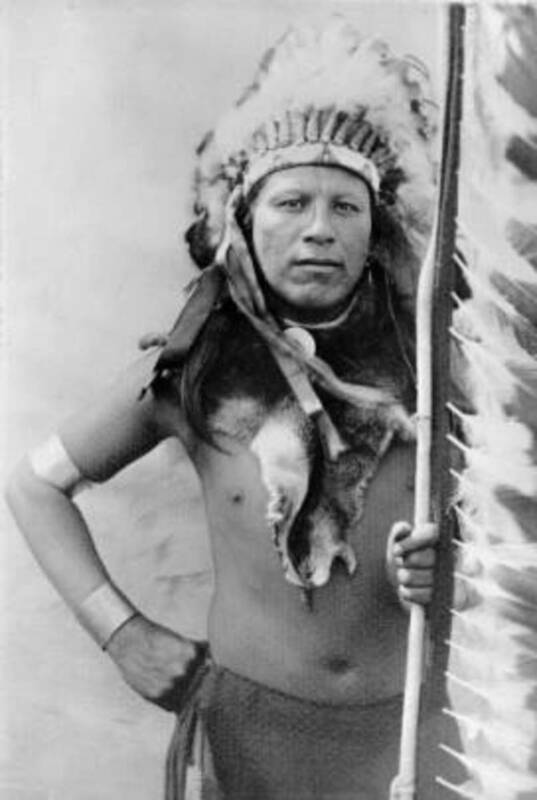 The Apache's chiefs depended on him for his intellect and wisdom. The Mexicans were the ones who named him Geronimo, derived from the attacks. One such attack was a battle where Geronimo ignored showers of bullets, and armed only with a knife, repeatedly attacked Mexican soldiers. Soldiers in their final moments of life, before the blade of Geronimo, would scream appeals to Saint Jerome. Thus the soldiers deemed him Geronimo! Many among the Mexicans believed his successes to be from supernatural beings, because he was not vulnerable to bullets. Geronimo was usually in the company of his brother-in-law, Juh, a Chiricahua Apache Chief. Geronimo was not a chief, but many thought he was because to outsiders he often spoke for Juh, who had a speech impediment. Geronimo led the last American Indian fight. Because of his bravery, in spite of the odds, he held out the longest, making him the most famous Apache that ever lived. 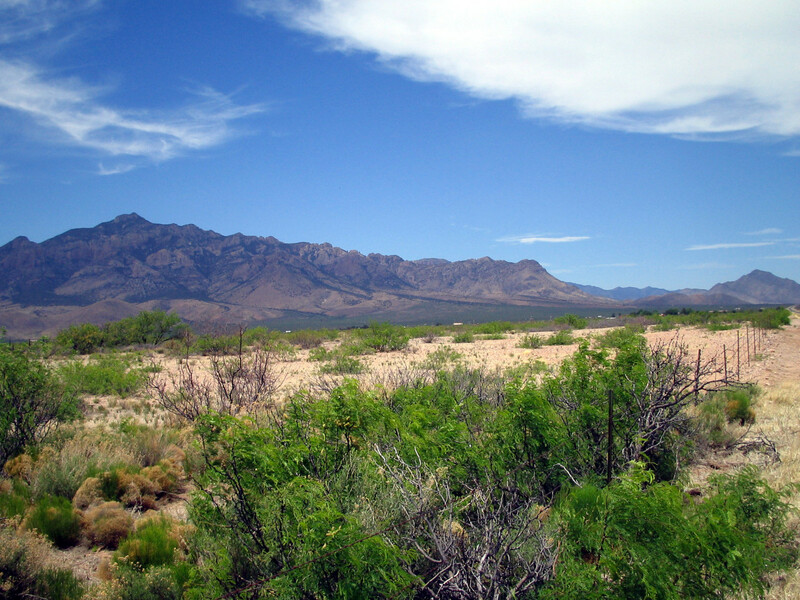 In the year of 1875 all Apaches west of the Rio Grande were given an order to go to the San Carlos Reservation. Geronimo escaped the reservation on three separate occasions. In 1876, U.S. Soldiers tried to move some Apaches into a reservation, but Geronimo fled to Mexico where he avoided capture for over 10 years. It took over 5,000 soldiers, 1/4 of the entire Army, over 500 scouts, and approximately 3000 Mexican troops to finally track down Geronimo. And still, they did not capture him, he surrendered! Geronimo was returned to the reservation. After a year of living as a farmer, and with an Apache warrior being arrested and imprisoned, and many rumors of trials and hangings of his people, Geronimo fled on May 17, 1885 and 35 Apache warriors, 109 women and children. He later surrendered to General George Crook. 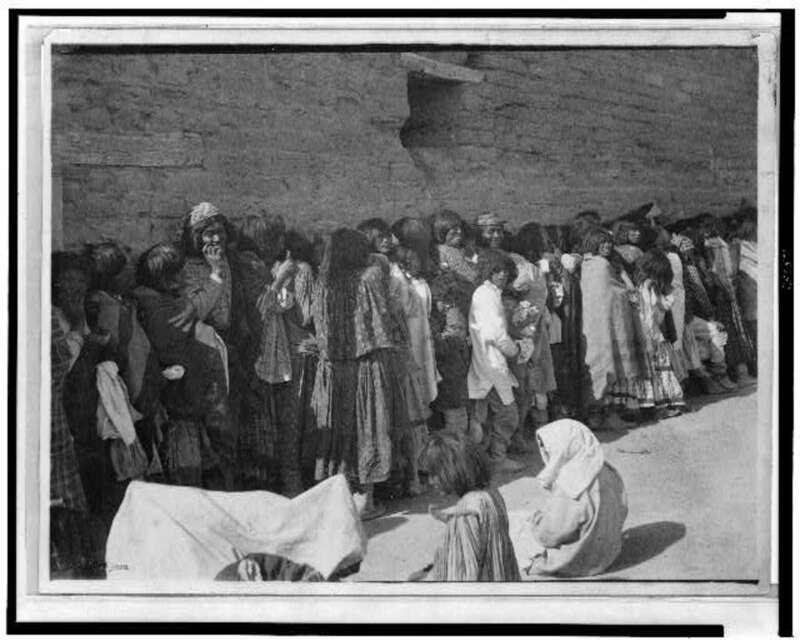 The American Government did not stick to their agreement and transported Geronimo and nearly 500 Apache men, women and children to Florida to be confined in forts Marion and Pickens. Later in 1886, they were transferred to Fort sill in Oklahoma. Geronimo eventually became a rancher and even appeared at the Louisiana Purchase Exposition in 1904. Geronimo even rode in President Theodore Roosevelt's inaugural Parade in 1905. Geronimo died on February 17, 1909, still considered a prisoner of war, and was never allowed to return to his homeland. Opler, Morris E. (1975). "Problems in Apachean cultural history, with special reference to the Lipan Apache", Anthropological Quarterly, 48 (3), 182–192. Hi Ginger. I didn't write them here but I plan on putting them here soon. These were written for other reasons but I will start moving them to hubpages soon. Thanks for reading and posting. I didn't realize you had written more Native American stuff...I will have to go exploring! Thank you. I've written quite a bit of stuff on different Native American Indians. I'll be writing several more here as well. Thanks for reading and posting. I appreciate it.